Actress Debbie Reynolds, the star of the 1952 classic movie "Singin' in the Rain" has died one day after the death of her daughter, actress-writer Carrie Fisher. Reynolds was 84. He said, "the only good thing about this is that my mom wanted to be with my sister." Reynolds enjoyed the very heights of show business success and endured the depths of personal tragedy and betrayal. She lost one husband to Elizabeth Taylor and two other husbands plundered her for millions. Fisher, who found lasting fame as Princess Leia in "Star Wars" and struggled for much of her life with drug addiction and mental health problems, died after falling ill on a plane and being hospitalized. Reynolds was a superstar early in life. After two minor roles at Warner Bros. and three supporting roles at MGM, studio boss Louis B. Mayer cast her in "Singin' in the Rain," despite Kelly's objections. She was 19 with little dance experience, and she would be appearing with two of the screen's greatest dancers, Donald O'Connor and Kelly, who also co-directed. "Gene Kelly was hard on me, but I think he had to be," Reynolds, who more than held her own in the movie, said in a 1999 Associated Press interview. "I had to learn everything in three to six months. Donald O'Connor had been dancing since he was three months old, Gene Kelly since he was 2 years old. ... I think Gene knew I had to be challenged." The 1964 Meredith Willson musical, with Molly's defiant song "I Ain't Down Yet," brought Reynolds her only Academy Award nomination. She also received a Tony nomination in 1973 when she starred on Broadway in the revival of "Irene," in which her daughter also appeared. The celebrity world seemed to lose its mind. Taylor was assailed as a husband stealer, Fisher as a deserter of his family. Reynolds won sympathy as the innocent victim, a role emphasized when she appeared before news cameras with diaper pins on her blouse. A cover headline in Photoplay magazine in late 1958 blared: "Smiling through her tears, Debbie says: I'm still very much in love with Eddie." Fisher's singing career never recovered, but Taylor, who left him for Richard Burton in 1962, remained a top star. And Reynolds' film career flourished. She starred with Glenn Ford in "The Gazebo," Tony Curtis in "The Rat Race," Fred Astaire in "The Pleasure of His Company," Andy Griffith in "The Second Time Around," with the all-star cast in "How the West Was Won" and Ricardo Montalban in "The Singing Nun." She also provided the voice of Charlotte the spider in the 1973 animated "Charlotte's Web." Reynolds' third marriage, to Virginia businessman Richard Hamlett in 1984, proved equally disastrous. In 1992, against friends' advice, she paid $10 million to buy and convert the faded Paddlewheel Hotel in Las Vegas into the Debbie Reynolds Hotel and Casino. She performed nightly and conducted tours of her movie memorabilia, which she had collected since MGM auctioned its artifacts in 1970. In 1996 she won critical acclaim in the title role of Albert Brooks' movie "Mother," in which Brooks played a struggling writer who moves back home and works on his strained relationship with Reynolds' character. A few years earlier, she had wanted to play the mother in the film adaptation of Fisher's bittersweet autobiographical novel "Postcards From the Edge," which featured mother-daughter actresses. Director Mike Nichols cast Shirley MacLaine instead. 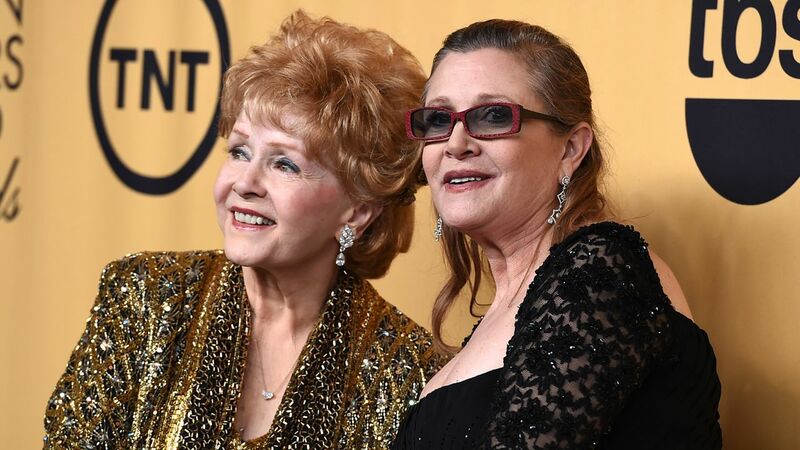 Reynolds and Fisher were featured together in the HBO documentary "Bright Lights," scheduled for release in 2017. She did team up with Taylor - long since divorced from Fisher - and two other veterans, Joan Collins and MacLaine, for the 2001 TV movie "These Old Broads." The script, co-written by Reynolds' daughter, was about aging, feuding actresses who get together for a reunion show. Reynolds would look back wryly on the Taylor affair, acknowledging that no man could have resisted her and that she actually voted for Taylor when she was up for best actress in 1960. The former romantic rivals had reconciled years before Taylor died in 2011; Reynolds recalled they had both been passengers on the Queen Elizabeth.